The Occupational English Test is an international English language test for the healthcare sector. Where Education Is for Life! Life Education is the pioneering institute in Kerala for providing state of the art training for International English language proficiency exams like IELTS,TOEFL,SAT and PTE. Having trained thousands of students in IELTS and PTE ever since 2000, Life Education is rated to be the best IELTS and PTE training institute in Cochin, also known as Kochi in Kerala. This family run institute boasts a very cordial approach to the students with personalized training, considering the varied learning requirements of each student. The family like atmosphere supported by various stress busting activities like short trips, cultural activities and celebrations, philanthropic initiatives, cooking sessions and language games help in making learning of English language a fruitful ,and at the same time, a pleasant and fun-filled experience! Most of our former students are now settled in countries like the USA, the UK, Australia, Canada, Germany, Ireland, New Zealand and many more. These students act as our brand ambassadors and some are featured in our website too. We are proud to say that we have started training IELTS and PTE to the second generation of our former students. Life Education, Cochin is an authorized training and Exam registration centre for both BRITISH COUNCIL and IDP Australia, and Pearson PTE with whom the association is quite long. Life Education has been constantly receiving recognition and awards from these institutions. PTE training is delivered by Dr.D.Sudarsan who has been training students for PTE-A for quite a long time now. His personalised approach in imparting training helps students to crack the test with ease. Many of his students have scored 90 in all modules in PTE test, which is the maximum score of PTE-A. IELTS (International English Language Testing System) is the world’s most popular English language test. More than 3 million IELTS tests are taken each year.IELTS is jointly owned by the British Council, IDP: IELTS Australia and Cambridge English Language Assessment. This examination is typically conducted in two days, where listening, reading and writing tests are conducted in a single session and speaking test is conducted on the same day of the test or any other day. We, at Life Education provide the best comprehensive training for IELTS in a very conducive environment which is learner friendly and stress free. Our team of faculty consists of highly qualified trainers with vast training experience. The IELTS team is led by Mrs.Anitha Sudarsan, Director, Life Education who is a CELTA (University of Cambridge, UK) qualified International English Language Trainer with around 18 years of experience in IELTS training . A post graduate in English Literature, she herself is a top scorer of the IELTS exam herself(8.5/9) and hence is able to provide the most effective tips from her test experience. The Occupational English Test is an international English language test for the healthcare sector. It assesses the language communication skills of healthcare professionals who wish to register and practise in an English-speaking environment. OET has been developed specifically to reflect workplace tasks for 12 healthcare professions. OET is a well-respected international English language test for the healthcare sector. Established in the late 1980s under contract to the Australian Federal Government, OET continues to remain relevant through continuous research and validation. Life Education provides training for OET in small batches so that the students get personalised attention and care. At Life Education, training is provided for Listening, Reading, Writing and Speaking. OET training is handled by Dr.D.Sudarsan. The training is provided in small groups so that the candidates benefit from individual attention. Most of our students have cleared OET with the required scores. We have consistently produced top scores, with many of our students, scoring the maximum in two and more modules. We have secured the best results for students from both India and abroad, and our online tips also have helped many to get their desired score. The student centric approach is more oriented on andragogy than pedagogy which ensures that the students are approached in a much personalised and matured way. It is not only the English language learning, but also the over-all personality development which is focused at Life Education. Our students appreciate the individual attention they get for Speaking and Writing sessions. Students are provided detailed corrections for their writing tasks and multiple speaking sessions every day, with different trainers. What sets us apart from the scores of IELTS training institutes is our commitment to learning. Our teachers and trainers constantly update their skills in the area of IELTS, PTE and OET training and teaching of the English language. Our trainers have cleared the IELTS exam; some of us, multiple times, with near-perfect scores! In fact, we are one of a handful of institutes with faculty who have CELTA qualification (Certificate in Teaching English to Adults) from the University of Cambridge’s Cambridge English Language Assessment centre. Having given training for IELTS,TOEFL and SAT exams right from the year 2000 ,and that to more than ten thousand students, we understand the individual needs of each student and provide tailor made solutions for their English language learning requirements. We are proud to say that now we have started training the children of our previous students who, with trust, respect and love send their children to us for IELTS, PTE and OET training. The IELTS exam administrators IDP and the British Council have recognised us as their official examination registration centre and continue to train us in exam preparation and update us on changes at the exam front. This long association with the test providers helps us to solve issues related to IELTS Exam registrations, TRF or any other issues related to examinations. In recognition of our service in the field of IELTS exam preparation services, we have received numerous awards from the exam administrators for the past several years. Life Education, Cochin is located at one of the best accessible locations in Cochin, Vyttila Junction. Situated by the side of NH 47, Life Education is just 5 minutes walking distance from the Vyttila Mobility Hub, Vyttila Boat Jetty and Vytila Metro station. Two wheeler parking facility is available at the campus. 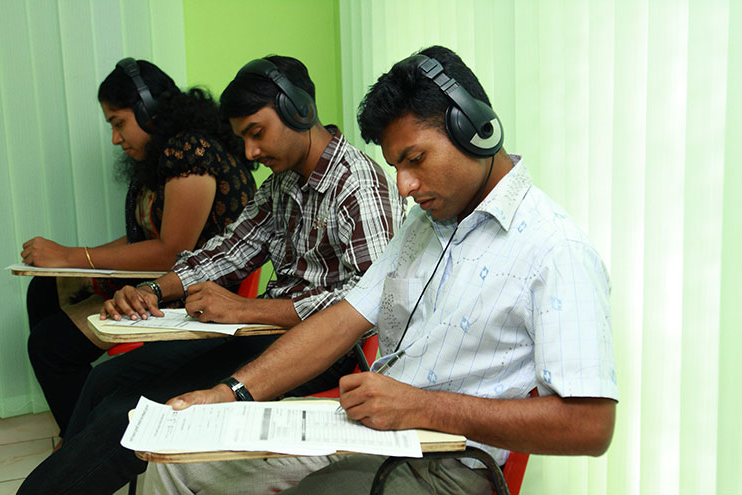 We provide mock tests for IELTS and PTE with detailed feedback. Students can take mock tests on working days and the result and feed back is given on the same day itself. Being the IELTS and PTE examination registration centre, our students as well as those not enrolled with us can easily avail the facility of applying for the test. Exam fees and documents can be electronically transferred to get oneself registered for these examinations. Had one of the most memorable days. Motivates & helps to bring out the best and boosts your confidence. 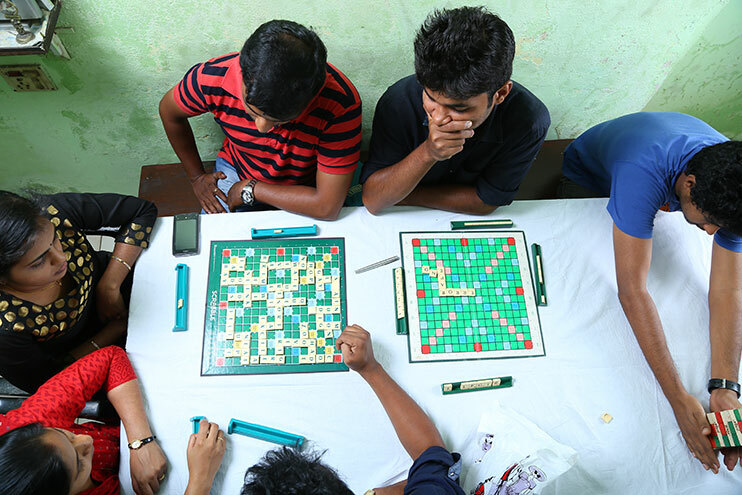 Excellent faculties, facilities and a guaranteed fun & entertainment. Thank you so much LIFE for all the guidance and support. #mysecondhome😊 Don't think, go join. What is the duration of IELTS Training? Our regular IELTS training is for one month, which can be extended up to three months without paying additional fees. This flexible time duration is to suit students who only need less help in preparing for the IELTS test and students who need more time to adapt to the test pattern and to sharpen their English language skills. We also provide crash courses for IELTS for which the fees are separately calculated depending on the number of days required for the candidate. Currently we run only one batch of IELTS training which starts at 10 AM and ends at 4PM. There is a lunch break at 1PM which ends at 2 PM. We work only on week days and do not have batches on week ends and holidays. On special request, mock tests are conducted on weekends and holidays which is entirely the prerogative of Life Education. Do students have to bring their own headsets for listening? No. We provide the headsets at our state of the art listening room. Students need to treat the equipment with respect and make sure they do not damage any of them. Do you provide any consultation for higher education abroad or migration? Currently we do not provide any such services but students are given details of leading consultants in the field. Students also get an opportunity to interact with fellow learners to know about the consultancies they have registered with. Do you have any learning activities other than typical IELTS and PTE training? Yes. We help students to prepare for job interviews as well as group discussions. We encourage our students to participate in various confidence and language development building activities such as debates, presentations and other different types of language games. Our students have even made short documentaries as a part of their language learning classes. Can students bring food and eat at Life Education? Yes. Students can bring and have their food at the institute. In fact, eating together provides opportunities to socialize and bond with the staff and fellow students. We do even have cooking days , as our institute as a well- functioning kitchen and dining hall. No, we do not accept credit cards. You can make your payments in cash or by electronic transfers such as net banking, google pay or the like.